The crash occurred on Grand Avenue, north of Route 27A in Shirley on Thursday, September 11, 2014 at 7:55 p.m.
Update - September 14, 2014 - Suffolk County Police today arrested a man for a hit-and-run crash that seriously injured a pedestrian in Shirley on September 11. Investigation by Seventh Squad detectives revealed Marie Braccia, 54, was crossing Grand Avenue, just north of Montauk Highway, when she was struck by a 2002 Nissan Maxima being driven by John Almeida. Almeida fled the scene. 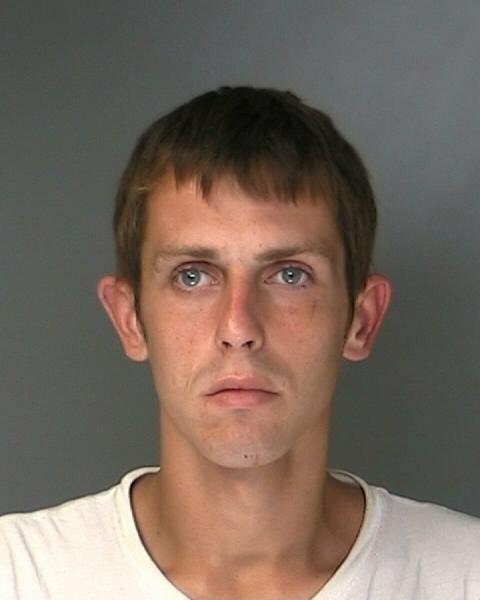 Almeida, 23, of Baiting Hollow, was arrested tonight at 8:55 p.m. He was charged with Leaving the Scene of an Incident involving Serious Physical Injury and Aggravated Unlicensed Operation of a Motor Vehicle, 2nd Degree. Almeida will be held overnight at the 7th Precinct and is scheduled to be arraigned at First District Court in Central Islip on September 14. Original Release - Shirley, NY - September 12, 2014 - Suffolk County Police Seventh Squad detectives are investigating a hit-and-run crash that seriously injured a pedestrian in Shirley last night. Marie Braccia, 54, was crossing Grand Avenue, just north of Montauk Highway, when she was struck by a vehicle traveling northbound that fled the scene. Braccia, of Mastic, was transported to Brookhaven Memorial Hospital Medical Center in East Patchogue where she is being treated for serious injuries. The investigation is continuing. Detectives are asking anyone who may have witnessed or has information on the crash to contact the Seventh Squad at 631-852-8752 or call anonymously to Crime Stoppers at 1-800-220-TIPS. All calls will be kept confidential. Subject: LongIsland.com - Your Name sent you Article details of "Update: Man Arrested After Hit-and-Run Crash"